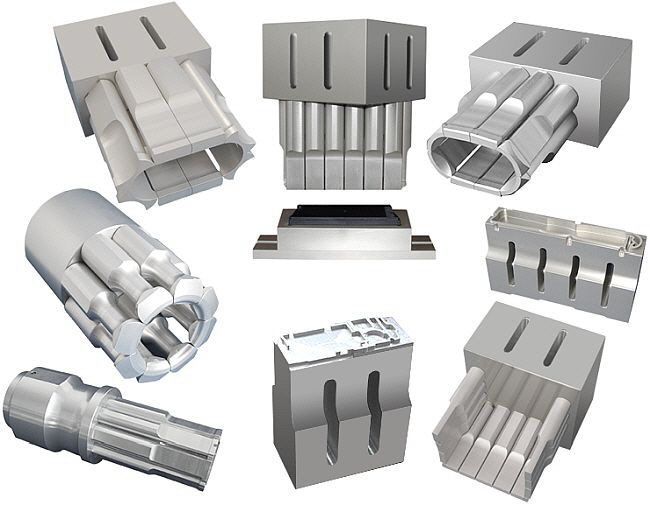 swiss-sonic Ultraschall AG is a development and manufacturing company for state of the art ultrasonic components applied in standard machines as well as customized machinery. Stand-alone machines but also semi and fully automatic production plants are equipped with swiss-sonic high quality ultrasonic components. The applications of our products are welding, riveting, beading and calking of thermoplastic materials as well as cutting, welding and gluing of fabrics and non-woven materials. Practice and experience for many years combined with innovative thinking and flexibility guarantee optimal solutions for all kinds of requirements with most advanced ultrasonic technology. We are „small“ enough for the better connection to our customer in respect of business relations, technical advise, support and all other necessities. But we are also „big“ enough to offer competent and professional support for complex and deman- ding applications. These are the reasons for our flexibility and dynamic. We are pleased to answer your requirements for the development of new solutions together with you. 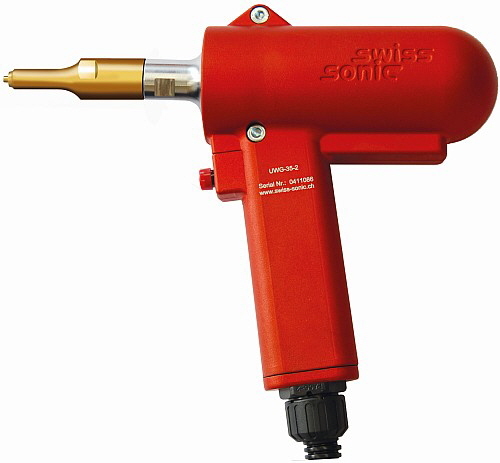 For Ultrasonics – please contact swiss-sonic – the Swiss solution for the better connection. Compact generators with integrated control for hand-held units, welding presses, standard and customized machines. ►For more information please click here. 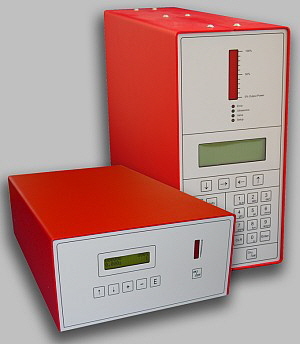 Built-in generators with interface for main controls for the use in automatic and semi-automatic standard and customized machines. 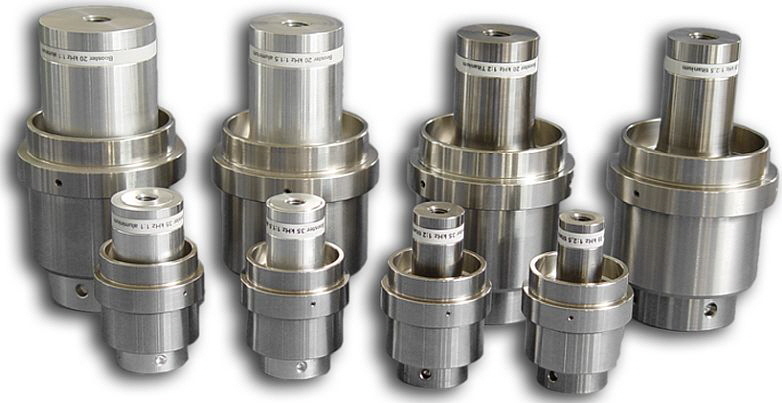 Compact feed units for 20 und 35kHz applications, for standard and customised machine design. 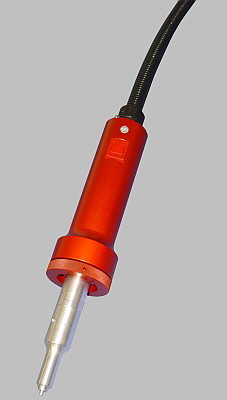 With precision linear guides, pneumatic cylinders and depth stop. 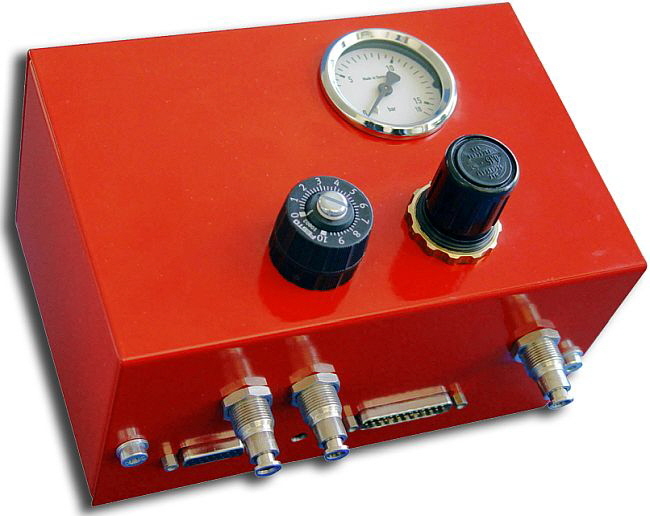 Partially with pressure controller, pressure gauge, pneumatic valve and pressure differential trigger. For direct activation by generator or external control. Horns for 20 and 35 kHz applications (other frequencies on demand) made of special high-strength materials like aluminium-, titanium-alloys, steel etc.. The horn needs particular attention. Optimal welding results are only possible with a correct design and adaption. Compact Ultrasonic hand-held cutting unit for cutting of fabrics, non-woven materials, foils etc. Ideal for straight and curved cutting. With guiding rail on a cutting table the ideal cutting unit also for larger series. Cost-efficient Ultrasonic Cutting equipment for studios, small and medium-sized enterprises. At best adequate for single cuts as well as for small up to medium series. 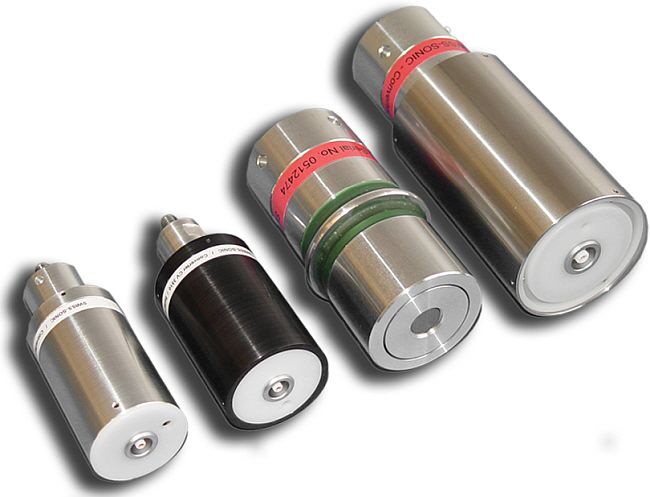 Compatible with working frequency 35kHz devices. 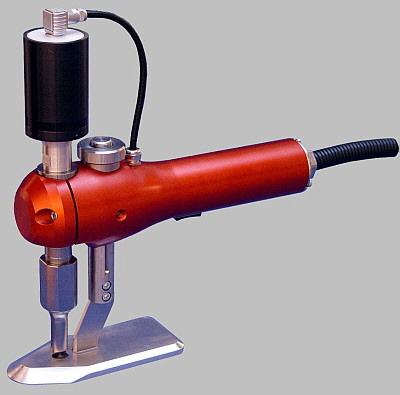 Compact ultrasonic hand welding unit UWG 35 to weld, spot weld, rivet, staple thermoplastic and textile materials. For car parts which are difficult to access and industrial assembly site. It is a economical solution for small series especially for small and medium-sized enterprises. The new Hand welding unit is built more compact with an ergonomic handle for precise welding. Thanks to the weight reduction the ultrasonic hand welding unit is more comfortable. Compact Ultrasonic hand-held welding unit for welding, spot-welding, riveting, tacking and calking of plastics, thermoplastic coated and thermoplastic fabrics. Applied in studios, car manufacturing, difficult accessible or overhead areas and industrial assembly yards. Cost-efficient Ultrasonic Welding equipment for limited-lot production in studios, small and medium enterprises. 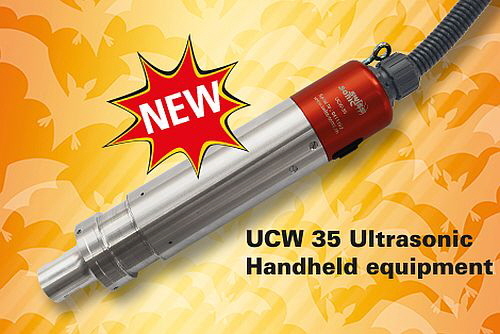 We redesigned our ultrasonic Hand-held welding unit type UCW 35 which is the ideal solution for limited-lot production and small-batch production. Welding modes: Time / Energy / Distance / Force / US Stop Time and Differentialpressure Trigger Parts measuring system Distance welding: absolute and differential. Compatible with working frequency 20kHz devices. Suitable for welding, riveting and forming of thermoplastic parts as well as welding, punching and cutting of nonwovens and textile materials. 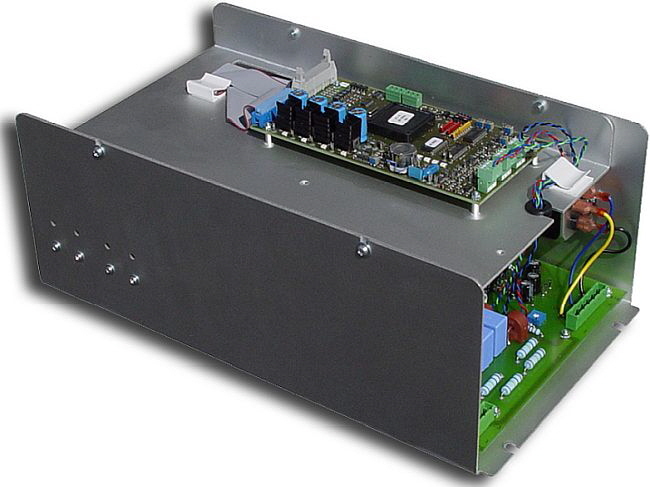 Microprocessor controlled for fast and easy to operate. 99 database places to save all working parameters.